KK wrote: Apparently the demo is getting delayed because their stadium is unfinished in the game too. Would be quite funny if that were actually true. Still haven't gotten around to getting this. But this is still to much cash for me at the moment. The missus would go potty. Call me again when it's £10! If you don't mind a physical copy and have a Cash Generator near you might be worth checking out. Got an Xbone copy from there about 2-3 months back and it was only £9.99 then. Diablo 3: Eternal Collection and Nioh possible for next month on Plus according to alleged advertising. Oh wow, that is one good month if true! Never played Diablo but want to give it a go. Floex wrote: Oh wow, that is one good month if true! Can someone sum up Diablo in a few sentences for me please. Is it turn based roleplaying? 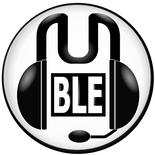 It's a classic gauntlet style slasher/shooter with borderlands style loot drops. I play as a a demon Hunter. Long range, plus traps. Loads of different areas to explore, ok bosses, epic enemies and rate loot. A massive time killer and so easy to get into. Lush art style too. Easily spend hundreds of hours in it. Not turn based, it's fast and fun. It's a massive fantasy slot machine whose lever you pull by running through hordes of bad guys setting off pyrotechnic death for piles of loot. Nioh is absolutely fantastic. Not even bothered by it appearing on Plus, easily got my money out of it, and still dip back into it from time to time. That would be one hell of a freebie, I wonder if they're more likely to give away vanilla Diablo 3 with offers on the DLC? Wasn't Destiny 2 just the base game a couple of months ago? I can't see them giving away Diablo 3 free a month before releasing it on Switch. I have it on PC, but was considering buying again on Switch. If I get a free PS4 copy, they'll kiss goodbye to my Switch purchase. It would seem a bit crazy to make it "free" on PS4 and then, just a few weeks later, ask Switch owners to pay £49.99! Which is exactly why it's going to happen. KK wrote: Diablo 3: Eternal Collection and Nioh possible for next month on Plus according to alleged advertising. That's sound good. Still impressed that I got Destiny 2: Forsaken this month on Plus, not to mention several other games. It's really the only reason I keep my Plus subscription. I add them all to my library but find I don't generally play very many of them - just the big-hitters. Every so often they cough up one or two top-tier 'freebies'. Sony doesn't normally announce its new PS Plus games until the week before they're due to release on the first Tuesday of the month, but a new leak via Reddit suggests we already know what October's free titles will be, a fortnight earlier than usual. 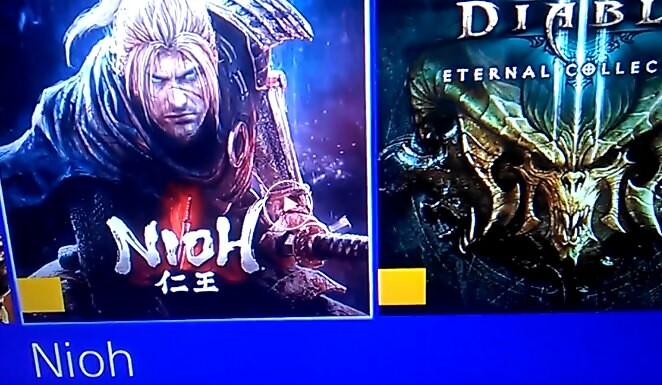 In the Reddit post, a PS4 user by the name of Aecesaje shares a hazy smartphone snapshot of a PSN Store page, revealing two thumbnails of Diablo 3: Eternal Collection and Nioh side by side, both with the PS Plus logo in the corner. It's a strange glitch, but one that has happened to PS4 users in the past, so there's certainly a precedent to back the legitimacy of this rumour up.